Especially in Germany, but probably in many other countries too, there have been many LP’s made with better music then the cover and the title promise. I have no idea how this worked, but I guess that some labels had studio musicians on their payroll, who had to make a certain amount of records per month. These records were meant to cash in on hits and trends, but it seems that the musicians often saw it as an opportunity to do what they were good at: making the music they liked best. All within the limits that the label set for such productions, of course. 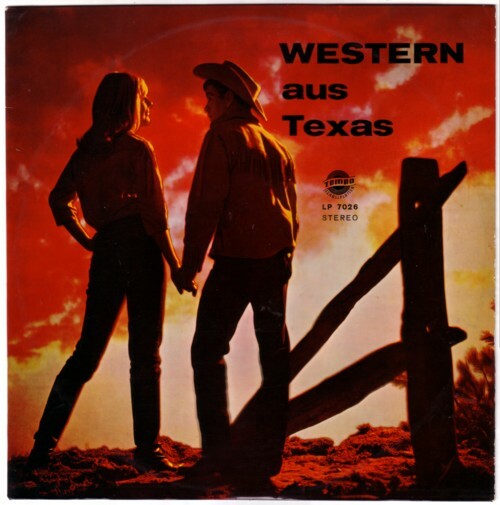 This Western LP on Tempo is a good example. I expected some Hollywood cowboy ballads, and I guess that many of the original buyers of this LP in the 70’s expected the same. Although the 14 songs are supposedly played by different bands, with names like The Blue Stars of Texas, The Swinging Cowboys and The Arizona Fire Boys, it is obvious that it is all the same bunch of studio musicians. But they play 14 more or less original compositions, most of them up tempo, well played and with a beat sound that will have surprised many of the original buyers just as much as it did me. Here is for example Nipso Brantner and His Arizona Fire Boys with a song called the Sioux Indian stomp .